Our Wing MATCH service is a buying service secured by a deposit. It does not add anything to the cost of the wing. This non-refundable deposit confirms your intention to order. It allows you to take advantage of our expert guidance: you get personalised advice to find the one that matches your skills and requirements. Get the right match for you! Where to begin with choosing a wing? You’ve read the reviews. You’ve talked to your friends. You’ve drooled over the adverts. But which one is the best? We believe there is no ‘best’ when it comes to wings, because you are unique: it’s the way the wing works with you as a pilot that creates the magic. It’s all about matching you with the right wing. How much current airtime do you have, what kind of flying is your experience based on, what wing are you upgrading from, and what are you hoping to get out of your flying? 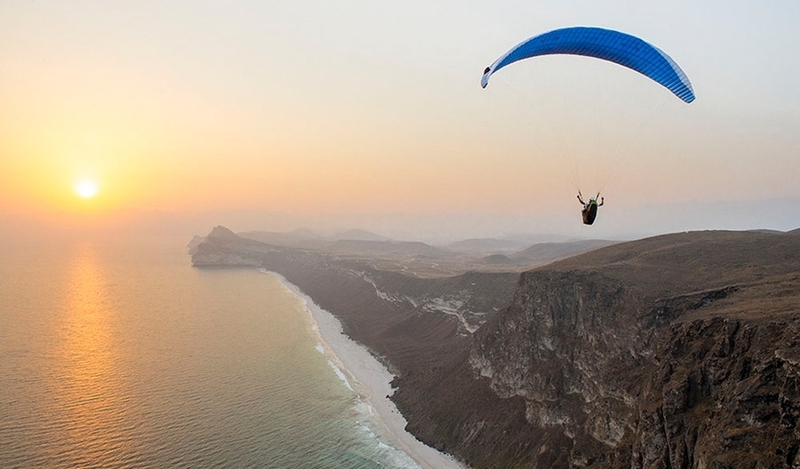 You won’t find those questions on a glider sales pitch, but they are the most important ones! 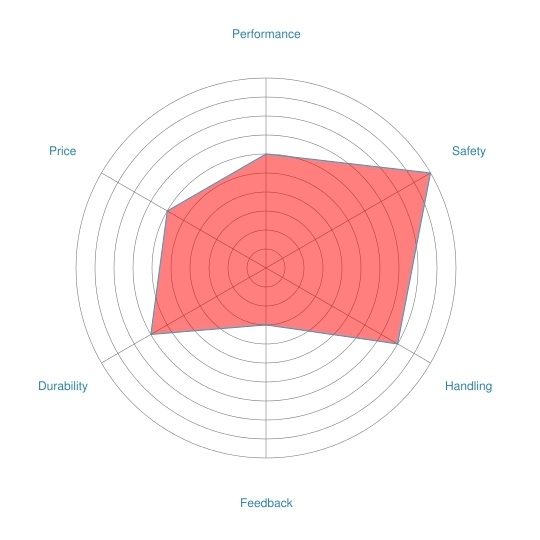 A useful tool to define what qualities are the most important to you is a radar diagram. Even knowing what class of wing you want will result in a long ‘shortlist’. 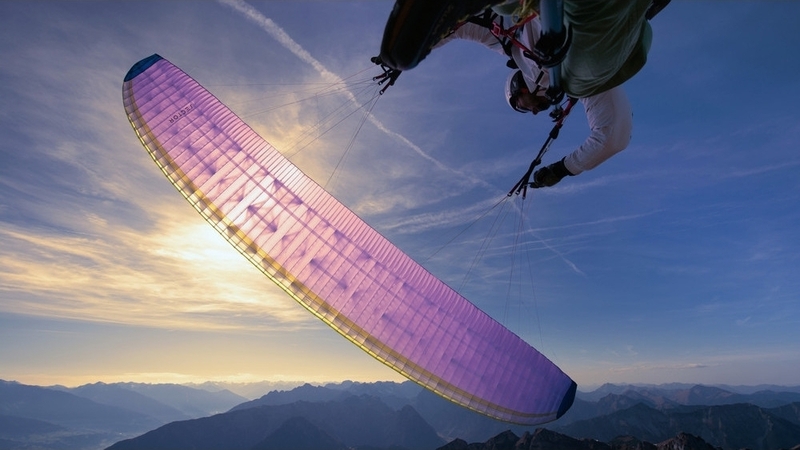 The real magic of buying through Flybubble is our ability to assess the type of pilot you are and understanding which wing will give you the most fun and satisfaction. This is based on our experience with a wide range of makes and models but also our years of instructing students and helping many customers to progress. That insight allows us to suggest 2-3 possible ideal purchases, which we then discuss at more length to help you decide on the one you want. 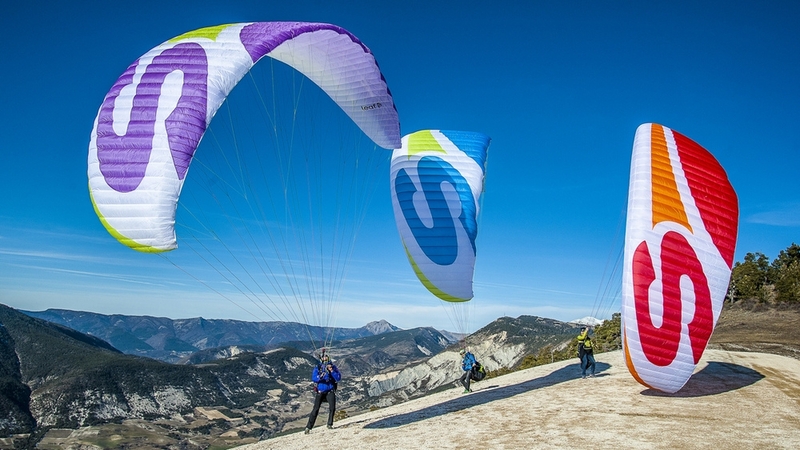 We have a huge range of new demo wings which the Wing MATCH service gives you access to. 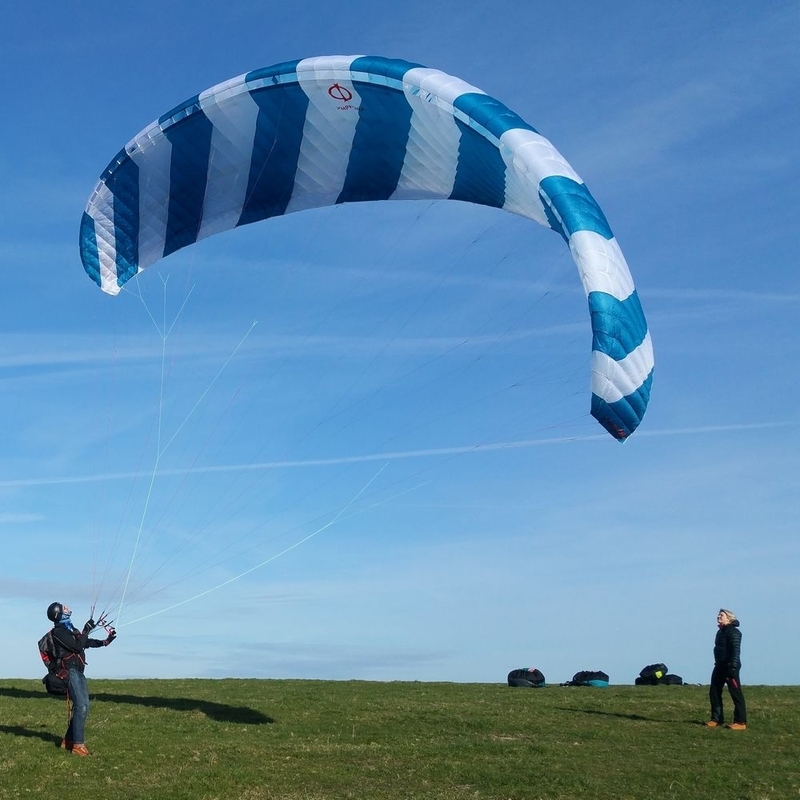 Book a test flight with us on the South Downs. If it’s too far for you, we can send the demo to you (with the understanding that you are responsible for any damage). Once you’ve decided on the perfect wing, all that’s left is to choose the right colour scheme! Due to our efficient supply network, you’ll get your new wing soon after ordering it. We do full dealer checks as standard (at no extra charge), but you can request to skip them and send the wing straight to you. Why do we ask for a non-refundable deposit? Some people try to get free advice from us and take advantage of our expertise and investment in stock, then buy elsewhere. Without charging a deposit for wings, harnesses, reserves and instruments we'd be overwhelmed by speculators and would have less time to offer our loyal customers. By paying a deposit you demonstrate that you are serious about buying from us, so we can offer you our full attention, share all of our expertise and give you access to our great range of stock. We will make sure you get the right and best equipment for you, and that you get the most out of it. Once you've chosen the equipment you like best then you pay the balance and take it away with you. So our service doesn't cost you anything extra and once you've tried doing business this way, you'll see that it offers you exceptional value for money. How long is the deposit valid for? 12 months, but of course it usually takes a lot less than this to choose the right equipment! Secure the best recommendation for this essential part of your flying equipment. Get a wing that builds your confidence, suits your skills and offers a real boost to your flying. We can’t afford to give away our time, so we need to charge a deposit, but we know you’ll be delighted with the quality of advice and recommendation. We want you to get the most out of your flying hours and we feel our Wing MATCH service gives you the best value. By purchasing this Wing MATCH product you are confirming that you are happy to pay this non-refundable deposit towards buying a wing from Flybubble, valid for 12 months.